Hard water can be a real problem if not taken care of. Hard water contains minerals that jams up major appliances and clogs them, thus reducing the life of the appliances. You are ultimately left with no option but to take the appliances for repair or replace them with a new one. But, you can save a lot of money if you use a water softener. It can improve conditions such as dryness of skin and increase the life of your appliances which you cannot do without. RainSoft provides the best water softener systems and offers water treatment to both home and families. It is the leading company that is working for fifty years now. RainSoft professionals are doing a great job by helping families to understand the benefits of cleaner water. RainSoft helps in keeping the family healthy and safe. They reduce minerals that make the water hard. They extend the life of the major appliances. The help you save money on soaps and detergents. It removes impurities which a faucet-mounted filter will not be able to do. It offers a cleaner, brighter and softer laundry. How does RainSoft Water Softener Work? RainSoft water softener systems have been made after considerable research by experts. This is done so as to focus on the task of offering better tasting water that is devoid of unwanted contaminants. 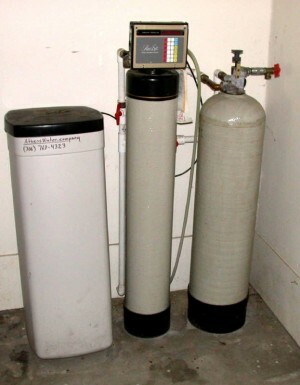 This water softener works through a process which is known as ion exchange. They take out the minerals like calcium and magnesium which make the water hard. The softener filter water through resin beads packed with sodium. The hard water ions exchange places with the sodium ions which make the water soft. Once the resin beads are over they need to be regenerated. The water softener salts thus have to be added continuously. The EC4 series of water softener provides total filtration, conditioning and softening. Reverse osmosis water systems provide additional filtration to remove unwanted substances like clay, dirt and sand in the water. These water systems filter water three times so the resultant water gets polished and ready to use for drinking and also for all of your kitchen work. The reverse osmosis systems from RainSoft need no expensive plumbing or new pipe installation and come in many designer finishes that will go well with your home décor. How to Install RainSoft Water Softener? Do you know how to install your RainSoft water softener? If not here are the steps to help you with the installation and the replacement of filters. Look for the cold water line that backs your tap. Once you have done that turn the in-let valve off in the manner- ¼ so that it is perpendicular to the water line. Open the kitchen tap and drain all the water out. Unlock the unit from the hook which contains the filters. 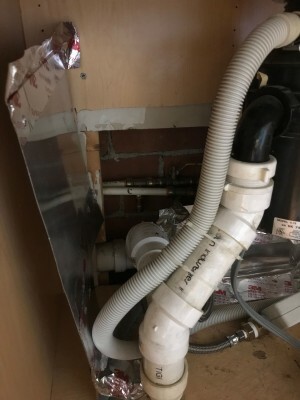 Place a drain pan below the filters to hold the waste churned out. Open the first filter canister closest to the cold water inlet. Now unscrew the next filter canister. This sediment filter should be replaced every six months. Once the filters have been removed, insert the new filter in the first canister. Now turn on the water, and check it as it flows out of the filters into your drip pan. If the water is clear, the carbon filter has been stripped of tiny carbon particles. Place the new sediment filter and apply lubricant on the “O” ring on top of both canisters with the help of a silicon lubricator. Rub the lubricant on with your fingers and make the canisters tight by hand. Now unscrew the reverse-osmosis canister. Remove and replace the membrane. Lubricate the “O” ring again and fix the canister back in its place firmly. Now pull off the small-post carbon filter and change the entire unit and place it firmly by hand. Fix the filter structure back on its hook. Finally you turn the in-let vale back on, ¼ turn so the valve remains parallel with the cold water line. Two types of salt are recommended for RainSoft water conditioners. Block Salt – This is a cheap salt which is low on impurities and will not develop cake in the salt container. Solar Salt– Solar salt has also got a reasonable cost and is low in impurities. The EC4 series has water conditioning system that shows the RainSoft Company has incorporated the system with proprietary technology which understands the family’s water usage, saving water consumption and salt usage. The EC4 water softener informs the user when to add salt and can also distinguish between a power outage and a brown-out which saves money on expensive power bills. Thus, the water you get carries a taste of bottled water, soft laundry and skin which will please you to no end. This is another premium water softener. It comes with an easy-to-program electronic timer, thicker tank for extra strength and durability and is made of materials that resist corrosion. The RainSoft water softener comes with customer settings to help you operate it and also a user manual guide to assist if you ever falter. The RainSoft water softener comes with a limited lifetime warranty.